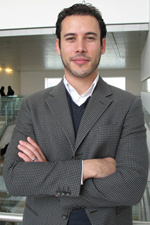 Jonathan A. Weiss, Ph.D., C. Psych. is a Clinical Psychologist who works with children, adolescents, and adults. In addition to being awarded the Chair in Autism Spectrum Disorders Treatment and Care Research, Dr. Weiss holds operating grants from the Canadian Institutes of Health Research, the Social Sciences and Humanities Research Council, and the Department of Canadian Heritage (Sport Canada). Dr. Weiss’ research focuses on the prevention and treatment of mental health problems in people with autism spectrum disorders (ASD) and/or intellectual disabilities (ID) across the lifespan. He conducts studies into how people with ASD and with ID access mental health care in Ontario, and is interested in their health service needs, their emergency service use, and their experiences of psychiatric crisis. Families play a critical role in the health of people with ASD and with ID by providing them with care and enabling their access to health services, and he is currently focused on learning about the experience of family caregivers. He is interested in program development and evaluation, and in particular on the impact of Special Olympics on the psychological well-being of participants, and of cognitive-behavioural and social skill interventions to promote resilience and improve the mental health of children and adults with ASD.